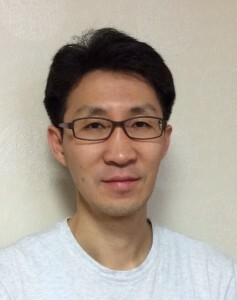 Professor Seungwon Shin received the Ph.D. degree in computer engineering from the Electrical and Computer Engineering Department, Texas A&M University (Advisor, Prof. G. Gu and Prof. A. L. Narasimha Reddy). He received his M.S degree and B.S degree in electrical and computer engineering from KAIST. He is currently an Associate Professor in the School of Electrical Engineering at KAIST. Before joining KAIST, he has spent nine years at industry, where he devised several mission critical networking systems. He is currently a Research Associate of Open Networking Foundation (ONF), and a member of security working group at ONF. His research interests span the areas of Software Defined Networking (SDN) security, IoT (Inter of Things) security, and Botnet analysis/detection. A common thread in his research is in revealing/ understanding network threats and designing new systems/algorithms for making networked system secure. He has conducted several SDN security projects to make SDN environments more secure (e.g., FRESCO, FortNOX, and Avant-Guard) and their outputs have been published at top-tier networking/security conferences, such as ACM CCS, NDSS, and SIGCOMM-HotSDN.